A lot of thought went into the design and layout of ninetwentyfive and the results are multiple options for private and semi-private dining experiences in a variety of beautiful settings. ninetwentyfive can flexibly accommodate groups of 4 to 160 in a wide range of spaces. ninetwentyfive is perfect for events including but not limited to weddings, rehearsal dinners, showers, networking groups, meetings, corporate events, and more. Please contact ninetwentyfive for your private dining needs. Our Fireside Room offers a semi-private dining experience perfect for cocktail receptions, business dinners, and family celebrations. Located on the second level of ninetwentyfive and separated from the restaurant by swinging glass doors, this space offers a flexible room arrangement and customized menus and service style upon request. Another feature in our Fireside Room is our beautiful Wine Table. This space is perfect for a small family or corporate dinner. 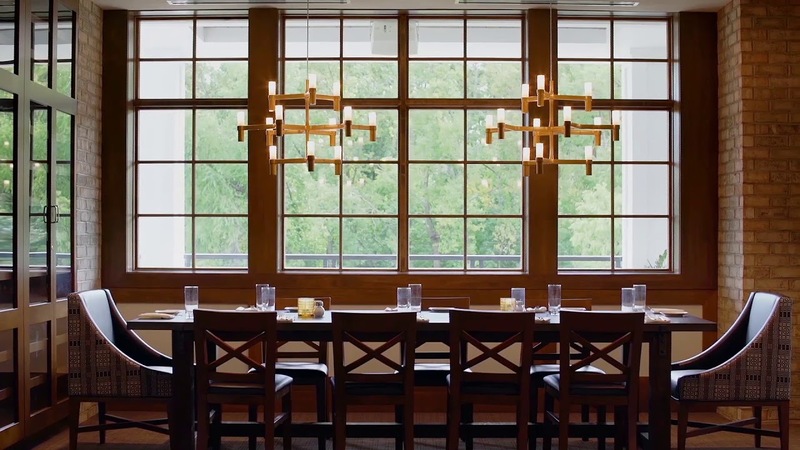 Enjoy a semi-private dining experience on our second level with unique decor and a lovely view of Lake Minnetonka. Located on the main level of ninetwentyfive, our Kissing Booth is another great option for a celebration. This entire area can be sectioned off for a small private party or a group for private dining. This venue is adjacent to the Living Room on the second floor of ninetwentyfive and is perfect for a casual semi-private event. Access to both upper level porches. Accommodations are flexible and can be customized to suit your needs for a sit down meal or reception. Food and beverage minimums vary and are available upon request. Located on the main floor of ninetwentyfive with access to our porch, The Lake Street dining room can be set for a semi-private event. Food and beverage minimums vary and are available upon request. We have 4 separate porches equipped with recessed heating units that can accommodate groups for a casual reception or a seated dinner with a beautiful view of our Wayzata sunset. Interested in hosting your next Private Dining Event with ninetwentyfive? Fill out the form below to contact us for more information and to request your private dining event.